During a conversation with a friend, who happened to work as a Verizon Wireless salesman, the subject turned to the tablet and its dependence on the Internet. Like a true salesman, he explained that Verizon (NYSE:VZ) offers a portable device called a "MiFi" that would solve all my problems. 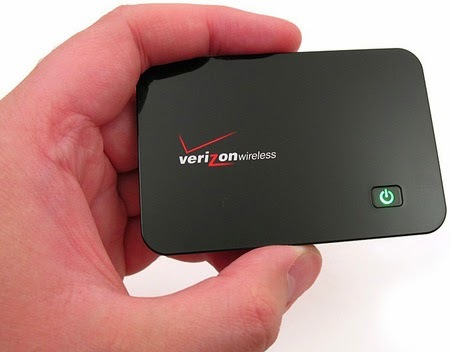 The MiFi is a mobile hotspot that can allow up to five devices to connect to the Internet using Verizon's existing cellular network. The MiFi is smaller than the average cell phone, and weighs next to nothing. Unfortunately, this neat little device has a pretty large price tag too, plus the added complications of signing a two-year agreement. While I was intrigued by the MiFi's apparent convenience and functionality, and the possibility that it could help my tablet reach its full potential, I was still hesitant to make the commitment. It sounded too easy. Instead of signing a contract and spending hundreds of dollars on a brand new MiFi, I picked up an older version of the MiFi on eBay (NASDAQ:EBAY) for only $18. I bought the Novatel (NASDAQ:MIFI) MiFi 2200, dubbed The Intelligent Mobile Hotspot. Since I then owned my own MiFi device, I was able to activate it on the Verizon Wireless network with a month-to-month agreement. I did not commit myself to a two-year contract with potentially hefty early termination fees. According to the Verizon Wireless website, my month-to-month options were either $50 for 5 gigabytes of data or $80 for 10 gigabytes. Since I had never used a device like this before, I couldn't even begin to estimate how much data I might use over an average month. I opted for the less expensive 5 gigabyte plan. Almost instantly, that little black rectangle was doing its job. I brought my tablet with me to the Verizon store in case we ran into any issues getting it connected to the MiFi. But to my surprise, as soon as the employees flipped the proverbial switch (or pushed the button or clicked the box) that turned on service to the MiFi, my tablet started vibrating and flashing icons. I typed in the MiFi password and the tablet connected with no problems. Over the next two months, I enjoyed the full capabilities of my tablet, thanks to the Verizon MiFi. I was never without an Internet connection, and I even helped out some friends and family a few times when they needed to get online with their own tablets or laptops. Life was good. I was online and happy. Little did I know that the Novatel MiFi 2200 was only capable of connecting to Verizon's 3G network, not the newer and faster 4G network. 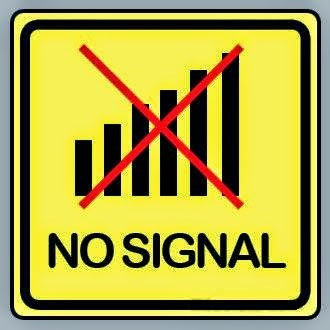 I was satisfied with the convenience of an always-on Internet connection, and I had simply accepted the occasional lag in speed as par for the course. However, when I learned there was an even faster MiFi available, I did not hesitate to buy one right away. The new device, also manufactured by Novatel, was model number 4510L. It was slightly larger than the 2200 device I had been using, but still extremely small and light-weight. It was black with a sliver border, and had a tiny vertical LCD display. My first impression when I took it out of the box - smooth! It just plain looked cool, and if the performance was even a little bit better than what I had been experiencing with the 2200 I knew I'd be more than happy. 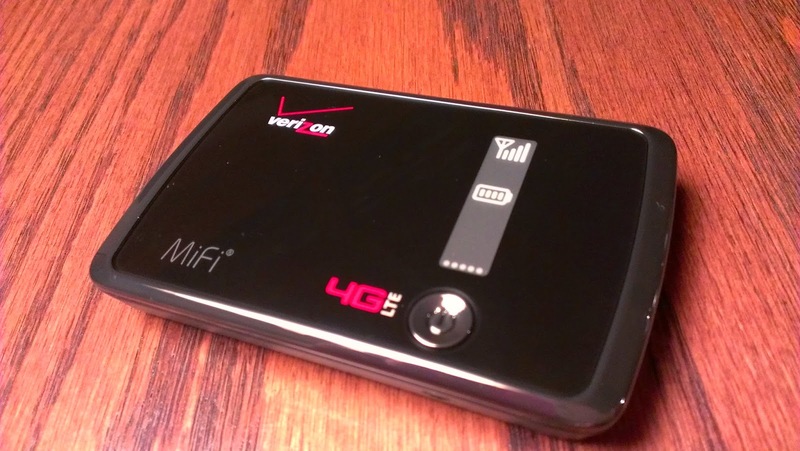 Everything the Verizon website described about the new MiFi 4510L was accurate. It connected easily with my laptop, tablet, and Android phone. The speed of the connection was significantly faster than what I had been experiencing with the older model, which I confirmed several times using the Speedtest.net app. One of my initial concerns when considering the new device was the rate at which I would use my 5 gigabyte data allowance. I wondered if the new MiFi on the 4G network would eat up those 5 gigs quicker than the 2200 had been doing. I raised this question to a Verizon customer service rep and was told that the data consumption of the new MiFi 4510L would not be higher than the older device on the 3G network - data would simply be processed faster. I was skeptical at first, but as I monitored my data usage on the Verizon Wireless website I quickly noticed that the customer service rep had apparently been telling the truth. I did not appear to be consuming data any faster or slower than what I had been with the older device. Needless to say, I was extremely satisfied with the device itself, the performance and connectivity of the 4G network, and the overall value I received for my money.